Cadillacs and Dinosaurs is an American Saturday morning animated television series which aired on CBS Kids in the United States from 1993 to 1994. 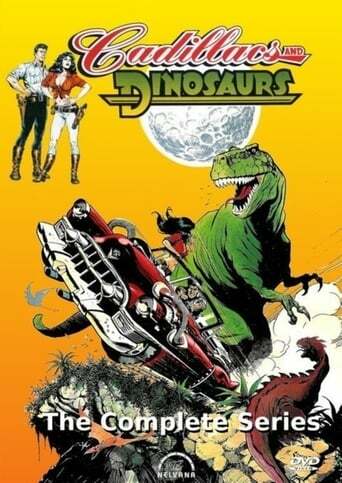 Based on the comic book of the same name by Mark Schultz, the show was created by screenwriter Steven E. de Souza, who acquired the TV rights after producing the video game Cadillacs and Dinosaurs, which was also based on Schultz's comic. The show dealt with many strong ecologicial and political issues that were central to the plot development. One major focus was the question of how the dinosaurs managed to re-emerge after they were thought to be extinct. In total, Cadillacs and Dinosaurs lasted for one season of 13 episodes and was never considered for renewal. All 13 episodes currently air on HBO Family in Latin America, and have continually done so for many years. They can be viewed dubbed in Spanish or in their original English. The show is also available in the US through the online retailer Amazon by their direct download service.